A few years ago I got into a game. It was a game I had never played before but a friend who loves travel turned me onto it. It is the game of signing up for credit cards to get the miles or points they offer for using their particular credit card. This game was more lucrative than I ever anticipated it being. Have you gone into a department store and made a purchase and find that a friendly clerk is offering you a store credit card? This may come with something like $50 statement credit if you just sign up. That may seem like a nice gain but consider that a typical value of a travel credit card sign up is about $500 or more. Now imagine signing up for dozens of them. The value increases quickly. My family and I don’t want to spend a lot of money on travel but we want to travel a lot so this was a very nice game to get into for us. We’ve accumulated a ton of miles and points and gone on numerous vacations for either free or a lot cheaper than it would have been without those miles/points. So I hope you find some great value here and travel to places you love to go without spending much money. Credit cards can give you a lot of value in points and miles but you’ll pay a lot more if you carry a balance. There is a reason banks give such lucrative sign up bonuses, it’s that many people carry a balance at 20% interest. Don’t be a sucker, instead let suckers who are paying 20% interest to banks (thus allowing banks to give you a ton of points) pay for your travel! Typically travel credit cards come with an annual fee, usually about $100. Often times it is waived the first year. Don’t keep the card past 11 months or you’ll pay that $100 and if you sign up for 10 of them you’ll wind up paying $1,000/year. No good! Keep one or two of them if you see value but cancel the rest before the year is up. If you cancel early, it looks bad to the banks. I keep an excel spreadsheet with all the dates so I know when to cancel each card. When you sign up for a credit card that offers a sign up bonus you have to meet a minimum spending requirement. It’s usually $3,000 in 3 months. If you don’t spend that much on the card, you don’t get the sign up bonus. Make sure you can spend that much money in that amount of time. If not, there are credit cards that make you spend less for their sign up bonus. If you know you have a big expense coming up that can be a good time to pick up one of these credit cards. What will happen to your credit score? Every time you sign up for a credit card a bank will do a “hard” inquiry on your credit file. This will drop your credit score anywhere from 3-5 points. If you are going to buy a home, refinance a home or buy a car soon, it may be appropriate to wait until that happens. If your credit score is great (think close to 800) then you can afford a few minor hits. 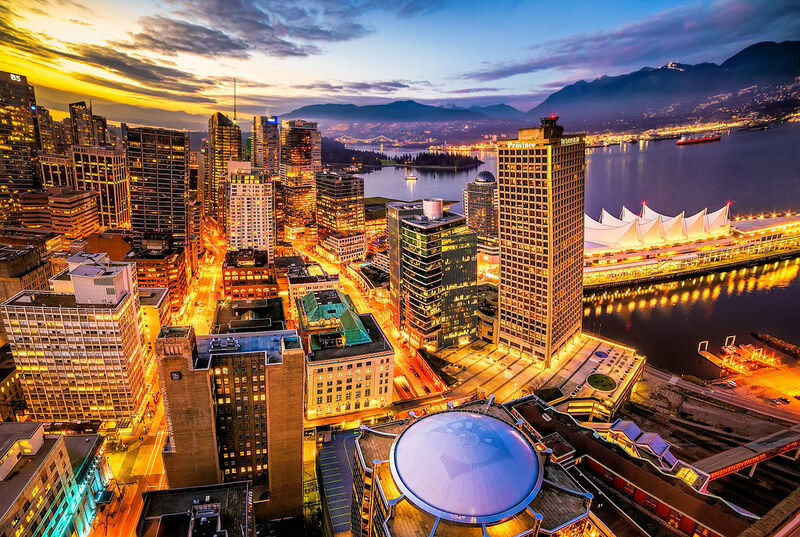 A favorite destination for its unmatched scenic beauty and plenty of outdoor opportunities, Vancouver is one of the most sought after destinations of the world. This is not just another cosmopolitan place, but it is the place to enjoy the best of fine dining, galleries, theatre, musical extravaganza and of course shopping. Vancouver has a lot to offer for tourists – as you plan your vacation, ensure that you have a lot of time in hand, so that you enjoy every bit which the city has to offer. As you plan your day outings or trips to parks, museums, shopping destinations and more, do not miss out an hour or two, strolling through the neighborhoods. Do not miss relaxing on the sandy beaches of the city. If you are visiting the city for a couple of days only, you can take a simple city tour or just stroll along the Stanley Park or simply explore the exotic Vancouver’s North Shore. What are the things you can do in Vancouver, as you choose to spend your holidays in the beautiful city? Plan a day outing in Stanley Park – A lovely place to spend a bright and cheerful place with your family and friends. Simply strong along the park or picnic on the fresh greens. There are several bright flowering plants to cheer you up and offer freshness. This is indeed the pride as well as the joy of Vancouver – not to be missed, when you visit the city. Visit the beautiful Granville Island – If you are really interested in knowing more about the arts and crafts of Vancouver, then this is the place you must not miss. The island was once a major industrial hub and now the home to arts and the crafts community. Carry home lovely souvenirs and gifts from the city for your loved ones. Visit Christ Church Cathedral – For those who love to know more about the cultural heritage of the city, should visit the Christ Church cathedral. The magnificent church has a gothic revival style and has beautifully designed interior arches. There are several stained glass windows and wonderful ceiling beams which are made from Douglas fir. Canada Palace – Walk around the beautiful Canada palace as you relax and spend your leisurely hours. Walk through the Canadian Trail or simply watch the ships grandly cruise along. For the adventure lovers, there is a lot to do in the city. Grouse Grand Hike – The popular Grouse Grand hike is quite popular among tourists who search for adventure activities. Enjoy the incredible views from the top as you hike up the terrain. Hiking up this trek is completely free. North Shore – Mountain biking is quite a popular activity in the North Shore. Know more about the exciting mountain biking trails in this area, as you plan your activities. Olympic Village – This is the newest attraction of the city. Check out the neighborhood, which was home to the athletes during the 2010 Olympic Games. Explore the beautiful island and enjoy the art installations. Do not miss the beautiful drive in the Sea to Sky Highway to reach Whistler. Enjoy the magnificent rainforests, the cliffs and the shimmering turquoise inlets as you drive through the region. That’s not all, do not miss the shopping districts and the food destinations during your stay. Another type of credit card is the fixed value points cards. Two credit cards that operate this way are the Barclays Arrival plus credit card and the Capital One Venture Rewards credit card. The way these cards work is that for every dollar you spend, you get 2 points. Each of these points is worth 1 cent toward travel so you’re getting 2% return on your spending. Not bad right? When you go to book anything travel related, just charge the expense on your fixed value credit card. Then when the charge posts to your account, you can go in and use your points to “wipe out” the purchase or “erase” it as Capital One states it. The benefit of this type of point over the others is the flexibility. You can book travel pretty much through any website or portal and get redeemed. This way you can take advantage of great deals on fares you find and use your points for them. Also, since you are paying for flights/hotel stays/rental cars/cruises, etc… you get the added benefit of earning elite credit toward those programs. You wouldn’t if you used that particular brands points for the award purchase. You can also redeem points for travel incidentals such as award ticket taxes and baggage fees. These two card are pretty similar with the arrival plus having a $89 annual fee and the venture rewards having a $59 annual fee. The arrival plus gives you 10% mileage refund when you use your points so you are effectively getting a 2.2% return on your spending. The Venture rewards card does not offer that benefit but has a lower annual fee. You just have to consider which card works best for you. You may or may not come to find these fixed value reward credit cards to be your “go-to” for spending but having them as a part of your overall credit card travel plan is a wise move. The flexibility they offer is unique and can really help, particularly on those cheap travel expenses where it makes the most sense to pay cash or travel incidentals that can’t be covered by other points. Our sponsor today is Arlington Heights Plumbing, a rock solid plumber Arlington Heights has come to know and trust. Each hotel point has a different approximate value so you’ll find that one point is not the same as another point. For example the most expensive amount of points you’ll spend on a top end hotel for Starwood is 35,000 points whereas with Hilton it is 95,000 points. A big difference. So let’s start with the most valuable points first. The most valuable hotel point is Starwood. These have great value for 2 reasons. 1. The award chart starts at just 3,000 points needed per night for the lowest category hotels. These are often Sheraton type hotels that usually go for about $100/night. A great value at 3.33 cents/point. The top hotels in the Starwood system go for 35,000 points per night but are ultra-luxurious resorts that would cost near $1,000/night. If this is the way you want to spend your points it’s great fun to stay at a luxurious hotel for free. The second reason that Starwood points are so valuable is that you can transfer them to 33 different airlines at a 1 to 1 rate. If you transfer 20,000 starwood points, you get a 5,000 point bonus. This is quite valuable as you become a seasoned and savvy points/miles afficionado because different airlines have different “sweet spots” for travel to certain parts of the world. If you want to fly business class (and who wouldn’t?) you can find the airline that has the cheapest award chart to that region and transfer your starwood points to that one. This gives you great options. My other favorite hotel point is the Hyatt point. These are quite valuable as well and are on par with starwood value. The cheapest hotel in the Hyatt group starts at 5,000 Hyatt points. These are often Hyatt places or Hyatt house and sometimes Hyatt Regency. They often go for about $100/night so you are getting 2 cents/point value. The Hyatt credit card is offered by Chase Bank and comes in 2 different forms. You can get the Hyatt card and, after spending the minimum amount over 3 months, get 2 free night at any Hyatt. The other form the card takes is that you can get 50,000 points after meeting the spending requirements. Which one is best for you just depends on what your travel goals are. We redeemed the 2 free nights at an all-inclusive resort and got about $1,500 worth of value from just one credit card sign up! There are a variety of miles or points you can get from credit card sign ups. An important one is airline miles. You can get these from virtually all banks/airlines. For example, Chase bank partners with United airlines, Southwest airlines, British Airways, Korean airlines, Air France, Virgin Atlantic and Singapore Airlines. Citibank partners with Asia miles, Eva Air, Etihad guest, Thai Airways, Quatar, Malaysia Air, Flying Blue, Singapore air, Quantas and Garuda Indonesia. Haven’t even heard of some of those have you? American Express partners with Air Canada, ANA, Singapore Airlines, British Airways, Iberia, Cathay Pacific, Delta, Air France, Alitalia, Aeromexico, EL Al, Emirates, Hawaiian Airlines, JetBlue, Virgin America and Virgin Atlantic. So you can see that there are many ways you can fly around the world as each of these airlines has there own award chart and offer to accumulate their miles. With so many options, where do you start? Great question! It really depends on what your travel goals are. I’ll break down the options between international and domestic. For international travel excluding Mexico and the Caribbean, I recommend looking into American Airlines and United Airlines. I would include Delta here but I find they don’t often open up non-stop flights for award redemptions and award availability is lacking. So you can get the AA credit card from Citibank and/or the United Airlines credit card from Chase bank. Each give you 50,000 miles for use on their airlines (sometimes this amount drops, usually to around 30,000 miles so don’t get it then. Wait until you find an offer of 50,000). Use AA and United for international travel. They fly all over the world. AA often has cheaper award rates (number of miles needed to fly) than United but often has more expensive taxes you have to pay. There are many other airlines that offer cheaper rates than AA and United but that’s for you later as you get more advanced in your “miles burning” skillset. Now, you typically don’t want to use AA or United miles for domestic travel (including Mexico or Caribbean) as there are cheaper options. For Domestic travel, I recommend Southwest, British Airways or using fixed value points or bank points (covered in another article) for cheap flights. Southwest flies all over the country as well as Mexico and the Caribbean. Their points (they use points not miles, same difference) are tied to their fare price so the cheaper their fare gets the less points you have to use to book the flight. AA and United charge a set 25,000 miles roundtrip per person for domestic travel. With Southwest, you can often find cheaper than this, saving yourself some miles or points. Now British Airways is very different. They are distance-based in the number of miles (they call them avios) they charge. The longer the flight, the more avios they charge you. So if your flight is shorter, you can save a lot of avios/miles/points (I know, it gets a little confusing right?). For example, if you book an AA flight to Cancun from Chicago, it is 30,000 AA miles but if you book that same exact flight on that same exact plane using British Airways avios, you only have to spend 20,000 avios. Nice savings right?!? Obviously there is a lot to learn and a lot of options and moving parts. If you take the time to learn them, you can find yourself flying to incredible places for next to nothing using the knowledge you’ve gained about miles and points.